Dr Joseph “Jim” Creely started practicing with Community ENT & Allergy in July 2008, and has been practicing in the Louisville area since 1996. He is a graduate of the University of Notre Dame, where he graduated with high honors, and a graduate of Vanderbilt University School of Medicine. After medical school he went to his hometown of New Orleans, LA, to pursue residency training at LSU. He finished his residency in Otolaryngology – Head and Neck Surgery in 1996, and has been board certified in Otolaryngology since 1997. He is a member of the American Medical Association and the American Academy of Otolaryngology, Kentucky Medical Association and Jefferson County Medical Association. 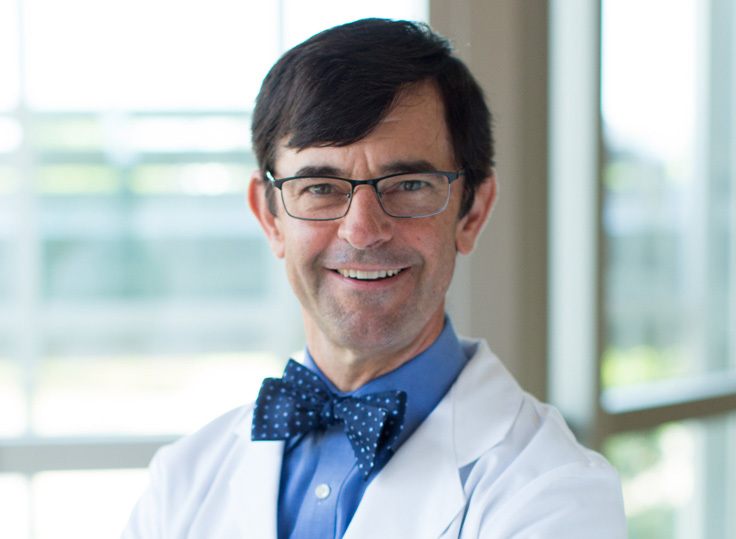 He has been selected as one of Louisville’s top doctors in Louisville Magazine. Dr. Creely gives multiple educational talks to other physicians regarding the treatment of ear disease, sinus disease, proper use of antibiotics, and the surgical techniques of tonsillectomy. He has a special interest in allergy and sinus disease, as well as pediatric Otolaryngology. He actively pursues a practice in all aspects of Otolaryngology (Ear, Nose, and Throat) medicine. Dr. Creely is married and has four children. Interests outside of medicine include running (he has completed several marathons including Boston and Chicago) hiking and mountaineering (He has climbed Kilimanjaro, Rainier and the Grand Teton). He also speaks Spanish and offers ENT services to Spanish only speaking patients.